This is one of the very best list of its kind where you can find about some best online website building tools available to create your free website. These free website building tools can help a lot to beginners who do not have technical knowledge but have interest in web design. 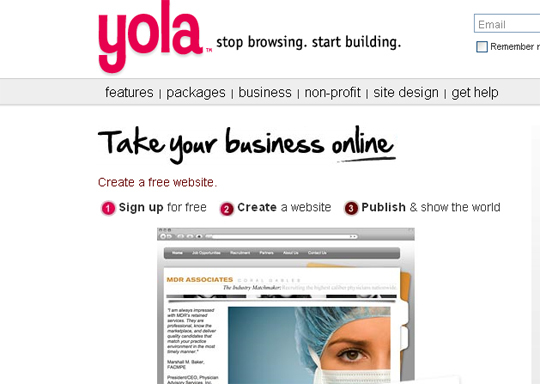 These website building tools can be very helpful for you when you want to get your work done. I hope all of you will like this list if you are office worker, designer, developer, a manager, a supervisor, a student, a home user, etc. Most of them are not very well-known, but they are really amazing in respect to their features. This is the list of 13 Easy And Powerful Website Building Tools To Create Your Free Site. Just take a look at them and share your thoughts here. You are welcome if you want to share more free website builders that our readers/viewers may like. Do you want to be the first one to know the latest happenings at smashingApps.com just subscribe to our rss feed and you can follow us on twitter and do not forget to become our fan on facebook as well. You can create free website, pages, sell online, send newsletters, and blog online with GetShopped. This is perfect for any new or existing business that wants to sell products or services online. GetShopped integrates with Google Checkout, Paypal, Payment Express, and many other trusted payment processors. This will ensure secure payment processing for your clients. 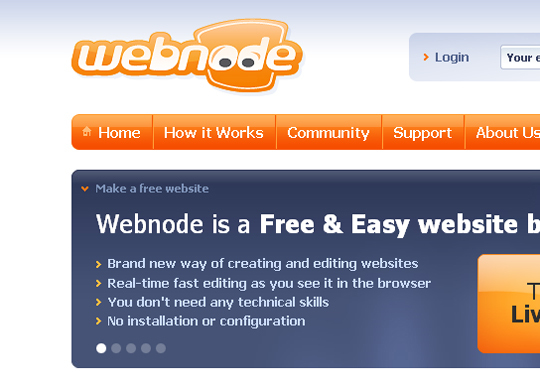 Webnode allows visitors to create, design, develop and run powerful free websites and web application from start to finish. It was engineered for ease of use and extreme speed, it can effortlessly produce high-caliber professional web pages within minutes. 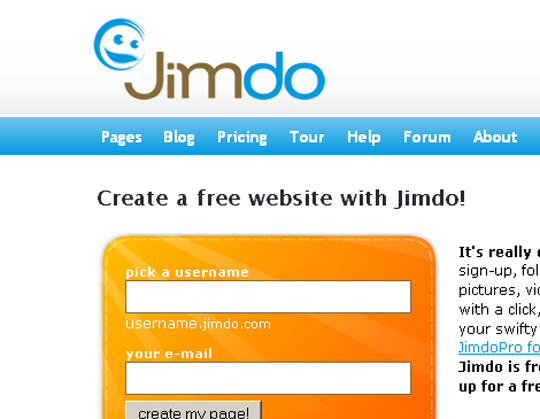 It’s really easy to create a free website with Jimdo: just sign-up, follow the link to your own Page, integrate pictures, videos and texts in seconds, change the design with a click, add as many pages as you want…and show your swifty JimdoFree-Page to your friends. WebStarts is another great option to create a free website. You can drag and drop photos, videos, text, and more. You can create a unique professional online presence. 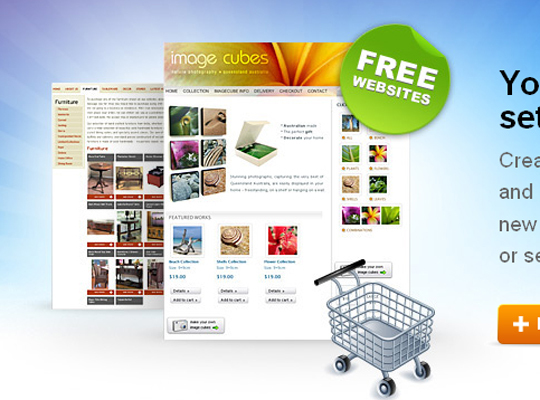 Choose from dozens of pre-designed layouts or make your own using free website builder. 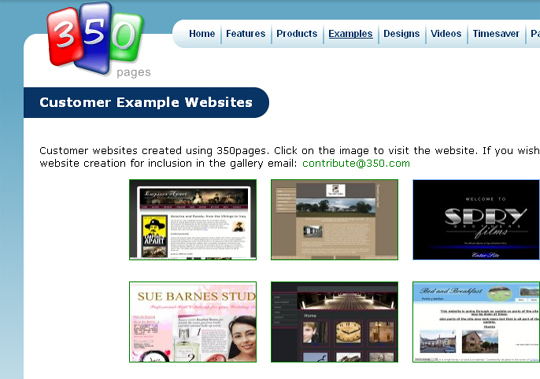 350 pages is easy to use free website builder that can help you create a website and edit your pages from anywhere in the world at any time. Since 350pages is hosted on the safe, fast, and reliable web servers, you don’t need to download, install or configure anything. All you need is a web browser (IE 6/7, Firefox, or Safari) and an internet connection. With Wix you can create a free website or make your free MySpace layouts and Flash MySpace layouts. It’s the simpler, faster, better way to build & design on the web. Google Sites is a free and easy way to create and share webpages. This is powerful enough for a company intranet, yet simple enough for a family website as well. 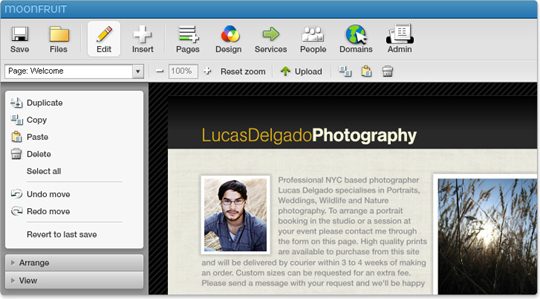 Weebly is the easiest way to create a free website. From personal to professional sites, Weebly will enable you to spend your time on the most valuable part of your site, its content. You can create free website and free blogs. doTemplate is a web template builder. 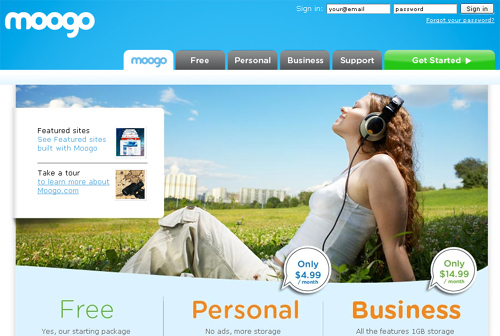 It offers a range of website themes you can personalize online before downloading. You can use this easy template creator for free. 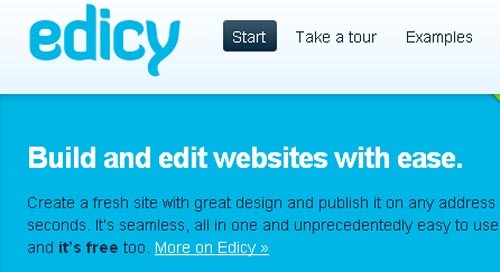 Edicy is so easy to use you can build a site for your business or organization and have it live on the internet in a matter of minutes. All the tools are available online with no additional software required, just pick one of our beautifully made designs, enter your text, add your images and then publish your site to your own custom web address, it’s that simple.